Your diesel truck is pumping out some major power, and you’re wondering what clutch is best to handle the output. After all, it’s putting out more than stock, and that clutch is barely rated to handle even that in many cases. 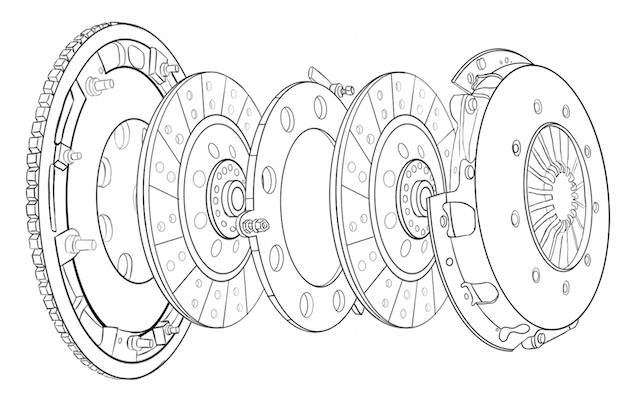 Most people think that double disc clutches are the answer, but in most cases, they're wrong. If you're considering buying a double disc clutch for your truck, you should consider what you're getting yourself into first, and also take into account that there are alternatives out there for your application. Increased difficulty with gear changes due to greater weight and the need for more components to move back and forth to attain release. So who needs a double disc clutch? Most diesel truck owners don’t. Only pickups making over 700 horsepower fall into the “need” category when it comes to double disc clutches. Where the confusion often sets in is when you see circle cars, stroker motor muscle cars, and circle track competition cars making less horsepower, but still using a double disc clutch — that’s because they’re great clutches in these kinds of applications. The need to win at any cost, the constant shifting, engine and transmission height requirements in these types of vehicles can all combine to require a multi-plate clutch. it's not necessarily a power thing in these cases. 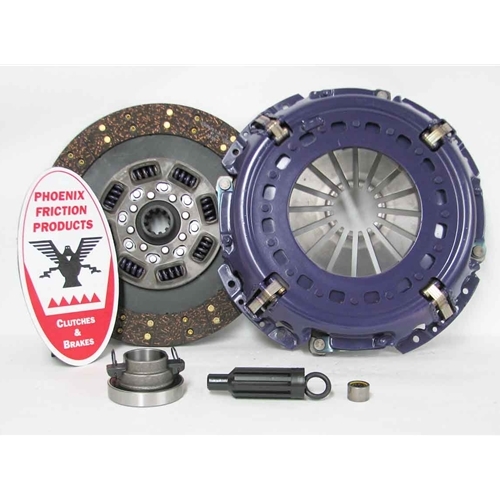 Phoenix Friction has a line of single disc clutches that are rated to handle extreme use. The benefit? They cost a fraction of the price, maintain a stock driving feel, and are extremely reliable. Not quite sure which clutch kit to buy? Give us a call, or catch us on live chat so we can answer your questions right away! Shop our line of single disc clutches for diesel trucks now and select the clutch based on your power rating to see how our clutches offer all the benefits of dual disc clutches without the added hassle!